We offer you warm hospitality and comfortable accommodation in our individually-decorated en-suite rooms with private entrances. Located close to the Old Johannesburg Road, 1010 Clifton Bed and Breakfast is minutes away from Centurion Mall and major motorways to Johannesburg, Pretoria and Midrand. Johannesburg International Airport and Johannesburg City Center is a 30 minute drive away. 5 Bedrooms (either 1 double bed or 2 single beds) each with own Shower, Basin and Toilet with Private Entrances which includes a Wheelchair Friendly (easy access) Room. 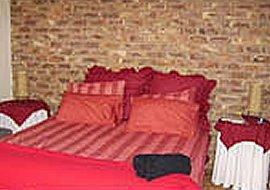 2 Bedroom Self Catering Flat. - Ceiling Fan; Hair Dryer. 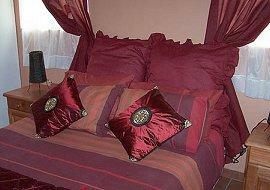 - 2 Bedroom Self Catering Flat Rates available on Request. Each with own Shower, Basin and Toilet with Private Entrance.